With the constant possibility of falling objects leading to potential head injury, make sure to keep your employees protected on the job. Head injuries are serious risks that many workers face. As a result, OSHA head protection standards are clear and must be followed. Here at Industrial Safety Equipment, LLC, we offer quality protective headgear for work sites. We’ve got a wide selection of products for you to choose from. 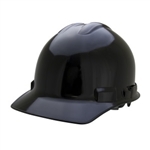 Industrial Safety Equipment, LLC carries cap style hard hats, full brim hard hats, construction helmet options and other head protection accessories from Cordova, Mine Safety Appliances(MSA), North Safety Products, Bullard, Jackson, and FiberMetal. Whatever your head protection needs are, rest assured that we have the products that you’re looking for. Our products have been developed for superior durability and performance. Cordova Vented Bump Cap Hard Hat, 4-Pt Ratchet (By the Case). Cordova Duo Series Full-Brim Hard Hat with 4-Point Pinlock Suspension, Sold by the Case. Cordova Duo Series Full-Brim Hard Hat with 4-Point Ratchet Suspension, Sold by the Case. Cordova Duo Series Full-Brim Hard Hat with 6-Point Ratchet Suspension, Sold by the Case. Cordova Duo Series Cap Style Hard Hat with 4-Point Pinlock Suspension, Sold by the Case. Cordova Duo Series Cap Style Hard Hat with 6-Point Pinlock Suspension, Sold by the Case. Cordova Duo Series Cap Style Hard Hat with 4-Point Ratchet Suspension, Sold by the Case. Cordova Duo Series Cap Style Hard Hat with 6-Point Ratchet Suspension, Sold by the Case.